Between the cold weather, lack of sunshine, and drinking just a tad more than usual at all of the holiday parties, it’s easy to feel less than sparkly. 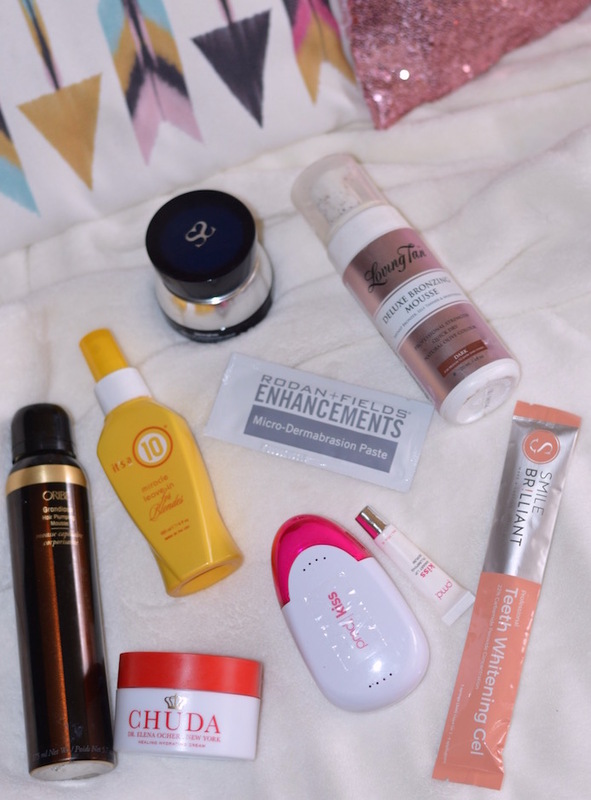 I’ve put together a list of some of my favorite products right now for being “beauty extra”, to help put that sparkle and glow back into your post summer life. 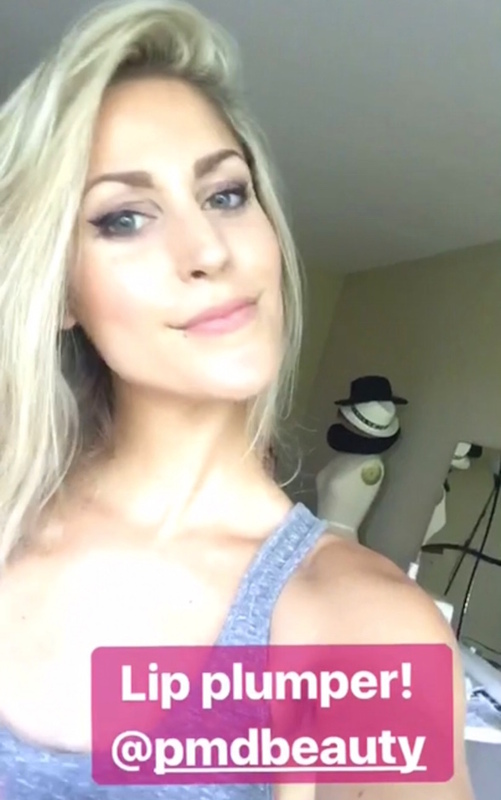 A lot of us are “extra” in other aspects of our lives (where are my American flag bib-wearers? haaiii), so why not indulge yourself in the beauty department. Take a “me day”. Practice self love. And, sorry for the vanity here, but beautification always leaves us feeling a little bit better right? 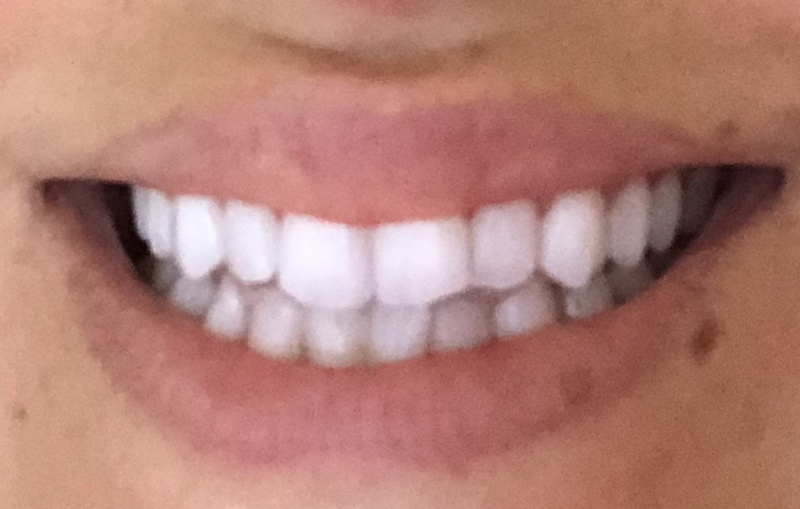 white smile: Smile Brilliant (see this earlier post I wrote on it)– I’ve been using Smile Brilliant whitening for over a year now, and I rely on it to keep my smile sparkling white. I drink a lot of coffee and tea, so whenever there’s a lull in using the product, you can see the yellow start to fight its way back. 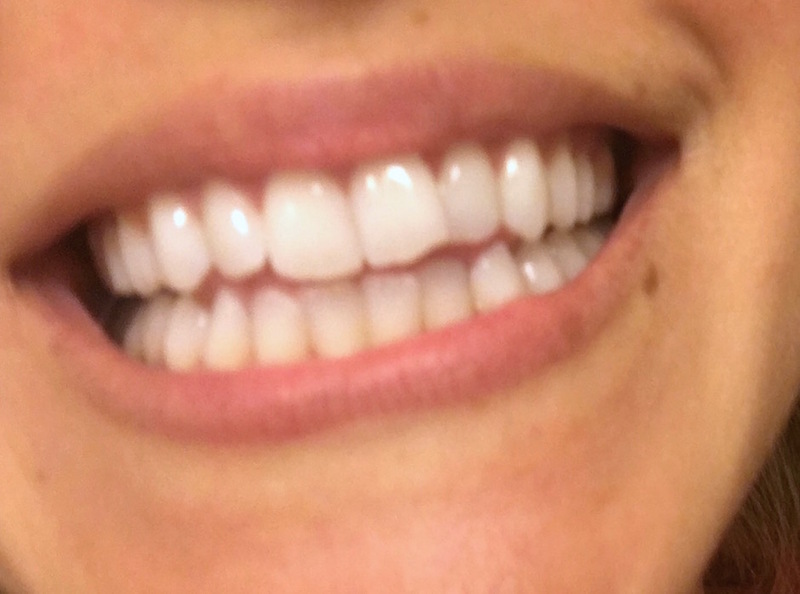 See a recent before and after photo at the bottom of this post, of what it looks like to take a break from the product and then start up again. Use code blazersandbubbly20 for $20 off any tray set! tan skin: Loving Tan– be sure to use the glove to apply the product, because it will stain your hands, and the glove really helps to evenly distribute the foam. This foam creates the most beautiful dark tan. Just be sure to apply lotion to tough spots, like elbows, ankles and knees. youthful face: Saranghae– I’ve been using this set of products for a couple of weeks now and LOVE the way it makes my face look and feel. I’m amazed that just using the face mask alone leaves the skin so dewy, soft and smooth. voluminous hair: Oribe Mousse— This stuff creates amazing lift, I never blowdry without it. plump pout: PMD Kiss Lip Plumper– This is such a fun way to plump up a pout! Apply the serum to your lips and suction pulse away! Read more/ see this “how to” video here (scroll down to the bottom..). Be sure to always use the serum with it. I’ve tried it without and did not get the same results. This is not a longterm added fullness, it’s important to note. It only lasts about an hour, but I do see a difference right after using it. So plump and quickly hop in the uber! hydrated skin: Chuda– I was excited to try this “miracle cream”, and I haven’t been disappointed. I apply it to eye and forehead wrinkles, but it’s also fantastic for battling dry winter skin. My legs were itching from dryness, but a dabby-doodle of this and all fixed. healthy hair: it’s a 10— I’m sure I’m not the first person to rave about It’s a 10 products, but they really do make the locks more luscious. My favorite is the miracle leave in spray. I douse my strands in this whether I’m blowdrying it or not. Rejuvenated skin: Rodan & Fields Micro-dermabrasion paste (shop here, with consultant Kristen Mothershead)– this stuff leaves the face with a noticeable glow and skin feels so smooth and renewed. The plumping serum also creates a really pretty natural pink shade on the lip..